Enjoy Bebo’s Famous Chili, now available in our solo 500-ml size. Place contents into a saucepan or pot. Cover and heat to boiling over medium heat, stirring frequently; boil 1 minute to make sure it’s fully heated, stirring frequently. 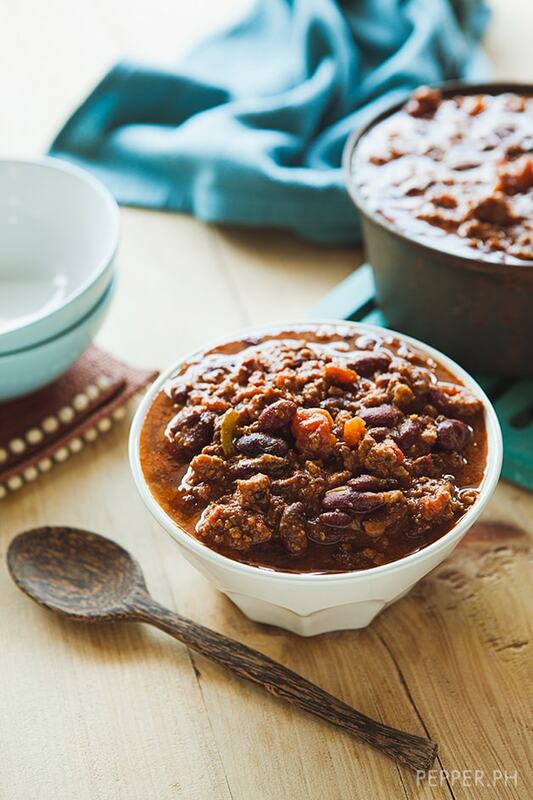 Bebo’s Famous Chili is made painstakingly from scratch, using only grass-fed beef and organic pork, and the freshest, whole and all natural ingredients from The Green Grocer. Bebos' Conversation Cuisine whips up a beautifully fragrant and elegant Italian herb marinade for our free-range organic whole dressed chicken. Made with fresh herbs and all natural ingredients, it's the finger-licking gustatory dish you'll serve at dinner without the painstaking prep work involved in actually making it. Each whole chicken is vacuum sealed in its marinade, and comes with easy cooking instructions. It’s the finger-licking gustatory dish you’ll serve without the painstaking prep work involved in actually making it. Organic whole chicken marinated from scratch with all natural herbs and spices, paying homage to the herbaceous flavors of Italian roast chicken. Each bird is cooked only upon order. Come and get it!